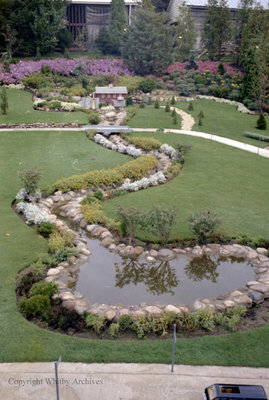 A colour negative of the mill pond in the Miniature Village at Cullen Gardens. In this view the Mill can bee seen in the background. Mill Pond in the Miniature Village, Date Unknown, Photographer Unknown. Whitby Archives A2013_042_144B.